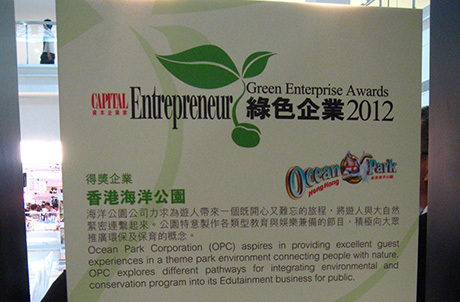 Ocean Park Corporation won the "Green Enterprise Awards 2012", which was presented and organized by "CAPITAL Entrepreneur", a leading local business magazine published by the South China Media Group. 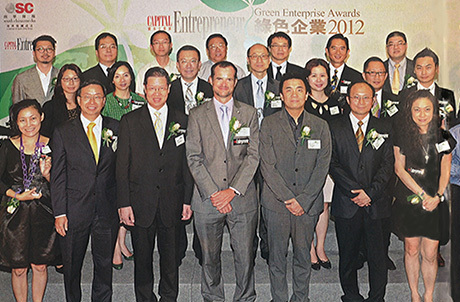 The honoree is selected following a review by the judging panel formed by the organizers, non-government organizations and green groups. 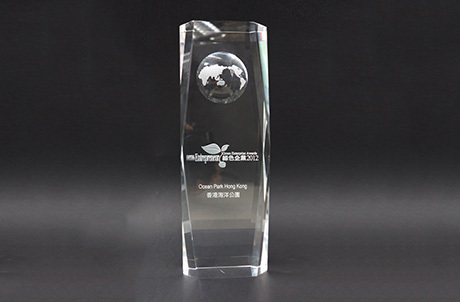 The award applauds organizations that have shown their business vision in sustainability, green market strategy and innovation in environmental protection. 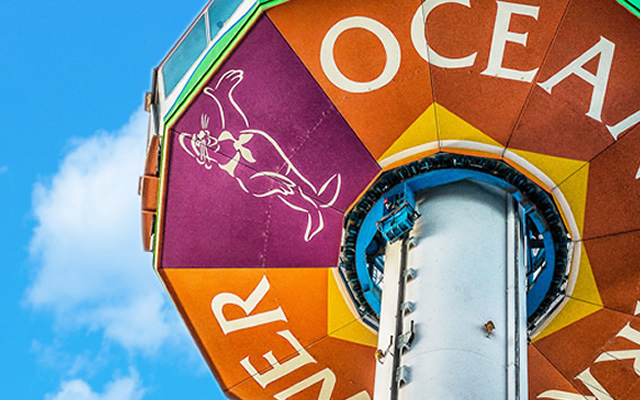 The award also attests to the judges' high regard for Ocean Park's efforts to achieve sustainable development. To this end, we remain committed in increasing the public's awareness in environmental protection and conservation through our 'edutainment'-- i.e. 'education' and 'entertainment' -- practices.